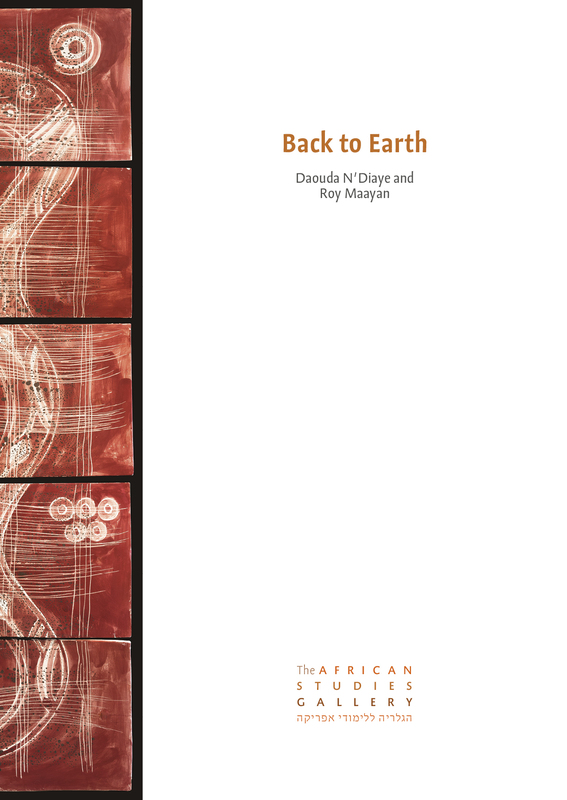 Back to Earth is a unique collaboration between Israeli artist Roy Maayan and Senegalese artist Daouda N’Diaye. The exhibition represents the culmination of their research of two ancient cultures’ past, and a vision to create a combination between two visual traditions in the form of a contemporary and universal work of art. Daoude N’Diaye is an art lecturer and art therapist. His work experiments with recycling materials and memories through shredded photographs, statues made of rolled papers and a variety of other techniques. For the exhibition, he chose a new challenge: working with local Israeli clay etching on it images from the visual history of Senegal and West Africa. Senegalese artists have been using clay since time immemorial, hence N’Diaye's choice of studying the motifs and forms used in his visual culture to stamp tablets of Israeli clay. The tablets were joined together as Totem poles and overlook the city of Tel Aviv from the high-rise gallery space. Roy Maayan is a ceramics artist, a lecturer at the Benyamini Center, and graduate of the Bezalel Academy of Arts and Design (BFA) and of the Tel Aviv University’s Interdisciplinary Program in the Arts (MFA). Maayan's work challenges the material and conceptual boundaries of the ceramic medium. For the exhibition, Maayan merged materials and traditional tool styles from both Senegal and Israel. To achieve this, he studied tool forms from the Canaanite period and samples of traditional earthenware from the parallel period in Senegal. The mixture of Israeli and Senegalese earth melded the two cultures together and brought a new image to life. The joint work process of two artists, using a material that is central to both artistic traditions – albeit with techniques and styles that combine the unknown and familiar – has produced an installation that is nostalgic as it is innovative and bold.